When you’re retired, planning a vacation frees up a lot of time for activities and destinations. 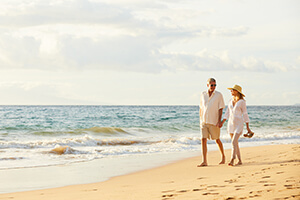 Emerald Isle is in fact, the perfect location for retired travelers as it boasts plenty of leisure activities paired with the relaxing atmosphere of the Crystal Coast. Summer is in full swing, but the kids are headed back to school soon so now is the prime time to book an Emerald Isle vacation and still enjoy fun in the sun with fewer summer travelers. We’re sure you’d be able to comprise a list of fun things to do, but here are some suggestions we have to get that list started. With these, you’ll be sure to enjoy your vacation and home away from home on the Crystal Coast. While you’re in Emerald Isle, a vacation must include some of the best eats and treats on the east coast. With more than 20 restaurants in the area, picking places to treat yourselves to breakfast, lunch or dinner is simple. Sampling the local seafood fare is always a good place to start when you’re this close to the water. There are a variety of restaurants with water views that serve up some of the freshest seafood straight from the Atlantic. Restaurants like McCurdy’s, in Atlantic Beach, and Blue Moon Bistro, in Beaufort, have seafood certified by Carteret Catch, a local seafood company that ensures it’s verified eateries are only offering locally caught fish and shellfish.  For a list of Carteret Catch restaurants, click here! And if you’re not interested in seafood, check out our list of restaurants that includes steakhouses, burger joints, ice cream and dessert parlors and more. For the foodies out there, check out our calendar of events here that highlight dates set for meet and greets, food and wine festivals and even beer and wine tastings. Emerald Isle Realty has a large selection of properties that are within walking distance of the beach, or even right in the backyard. Click here to see some of these beautiful oceanfront properties. With the “schools-out” season dwindling down at the end of August, right now would be the best time to book your rental and take advantage of the less crowded beaches and local parks. 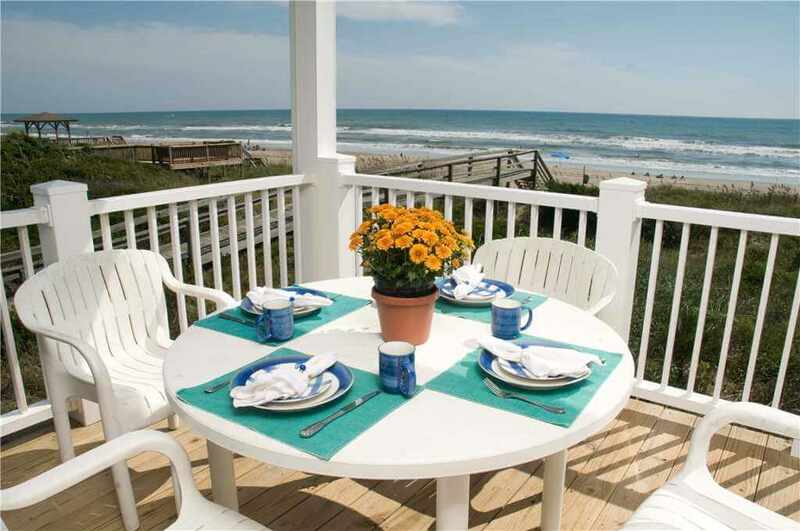 While on the beach, think about planning some activities like lounging in the sun with your favorite cocktail or refreshing beverage, having a waters-edge picnic with an Emerald Isle sunset/sunrise background, or even going for a walk on the Bogue Inlet Pier. Aside from the beach, there are a number of local parks that are chocked-full of things to do while on your vacation. A hike through Emerald Isle Woods Park, fishing at Cape Hatteras National Seashore or wildlife watching in the Croatan National Forest are great ways to truly enjoy the outdoors. Emerald Isle and the Crystal Coast are home to several significant milestones in American history. From the Civil War to early America’s exploration, museums in the area have cataloged a rich history and have revolving exhibits that showcase the area’s unique past. The North Carolina Maritime Museum is a great place to start for your history fix about coastal living and the early days of Emerald Isle, including wartime stories and a permanent exhibit about the famous pirate Blackbeard’s ill-fated ship, the Queen Anne’s Revenge. Other areas around town just have history flowing through them, even to this day! 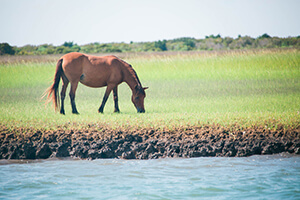 Visit Shackelford Banks where you just might be able to catch a glimpse of the wild horses believed to have been brought to the area after a Spanish ship crash in the early exploration days. 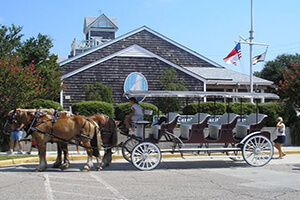 Fort Macon State Park is another exciting destination where history is still alive and on full display with Civil War reenactments and tours of the Fort that remains in impeccable condition. With more time on your hands, why not hit snooze on your vacation, and plan to stay a little longer? Emerald Isle Realty has a selection of winter monthly rentals perfect for extending your stay a couple of weeks or even if you have plans of spending the fall, winter or spring seasons on the Crystal Coast. View these listings here.